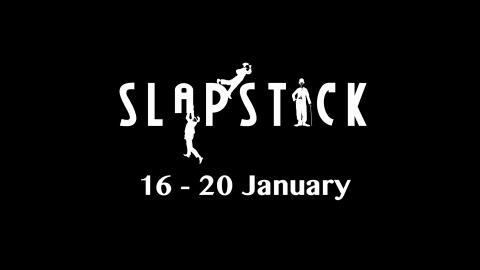 Celebrating its 15th year, Bristol’s annual Slapstick Festival offers a chance to see some truly essential comedies from cinema’s silent era selected from archives across the world with world class musical accompaniments. Forgotten comedy stars from the silent days of Hollywood to the comedy club boom come under the spotlight in this affectionate tribute by comedy historian Robert Ross. Families and kids are invited to join film historian and Chaplin biographer David Robinson as he introduces the man with a funny walk, Charlie Chaplin, in this fun afternoon of chat and films, specially designed for under 12s. Delight as you discover why, a century on, Chaplin is still funny to audiences both old and young alike. Read more Young Slapstick: Meet Charlie! In this event Merlin Crossingham, creative director on Wallace and Gromit and animation director on Aardman’s feature film Early Man will present some unusual gems from the early, magical days of animation – featuring a cast of cats, rabbits, and of course one very famous mouse. Join film collector Anthony Saffrey and film historian David Robinson for this selection of rare and unseen silent comedy gems. To accompany the release of Stan & Ollie, a new biopic on the world's greatest comedy duo, we’re revisiting the celebrated 2006 BBC drama about the pair from silent film maestro and writer Neil Brand. Peter Krämer, the author of the BFI Film Classics volume on Buster Keaton’s The General, makes a welcome return to Slapstick Festival to discuss one of Buster’s most accomplished works - Steamboat Bill, Jr.
Read more A Celebration of Steamboat Bill, Jr.
One of the most popular figures in the United States of the 1930s, Will Rogers stars as a lazy good for nothing patriarch of his long-suffering family in this rare silent comedy western. Would Charlie Chaplin have ever reached his heights of success if it weren't for his big brother, Sydney? An improbable character inhabiting the shadows with a fiction-like destiny, Sydney’s chequered life and role behind the scenes of the most recognised comic character in the world, is explored in this new documentary. In this Russian comedy-drama a hapless loser (with the surname of Loser) undergoes a series of misadventures with avaricious clergy, a tired horse, and a stolen granary (among other things) on his road toward collectivised happiness. This bold comedy of shy lovers is René Clair’s silent masterpiece, folding the avant-garde and the comic into a delightful, expertly judged tale of provincial romance and misapprehension. A celebration of comedy and its ability to connect people via foolishness and silly voices, join Robin as he attempts to examine the human condition through the prism of humour. Discover this extraordinary story about a mysterious woman who was internationally acclaimed in her time for her role in a string of comedies featuring a main character called Cunégonde, but then lost for more than a century. Academy Award winner Mary Pickford plays a tomboy of the tenements facing a crisis of the heart when the boy she loves is accused of shooting her policeman father in this classic comedy drama. Join us for an evening of unadulterated cinematic joy. 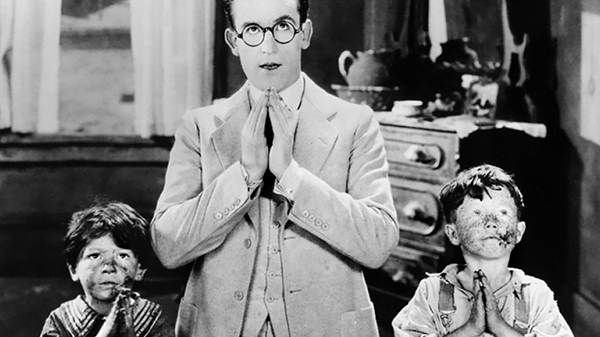 Sit back in the grandeur of Bristol Cathedral and enjoy three classic silent comedies on the big screen accompanied by live music. Following a screening of Chaplin’s The Pilgrim (1923) comedians Robin Ince and Lucy Porter and The Rev. Emma Langley, Vicar of Westbury Park will join Andrew Kelly, Director of Bristol Festival of Ideas to explore whether ‘being funny’ is justification for mocking religion, or if there are some things comedy should not touch. Buster Keaton found rich possibilities for physical comedy in this tale of a wealthy milquetoast who is forced, through a series of outlandish coincidences and misunderstandings, to train as a boxer. We’re opening the 15th edition of the Slapstick Festival with… a talkie! Charlie Chaplin’s take on 1950s America, A King in New York stars Chaplin as a peaceable king who runs afoul of the House Un-American Activities Committee.